Fits only with port shape listed. Please verify port shape on header and match to proper gasket. 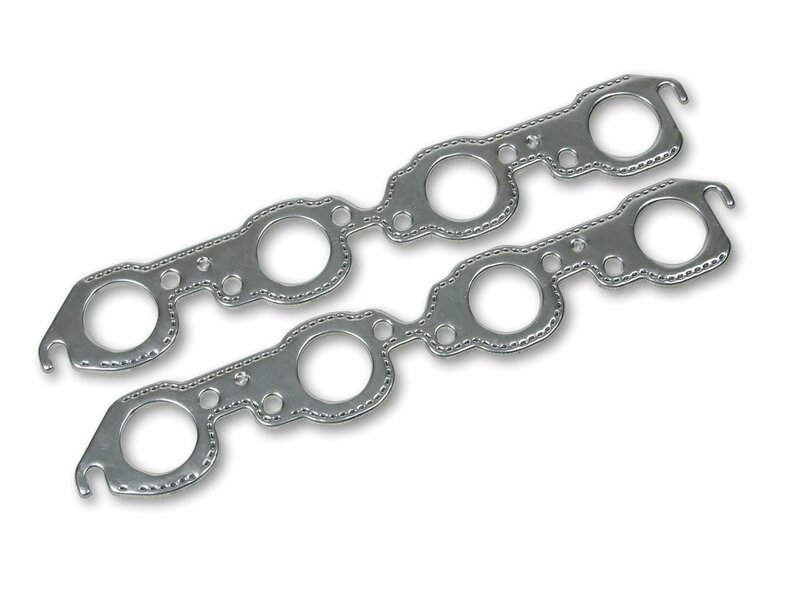 FLOWTECH REAL-SEAL header and collector gaskets are a revolutionary break-through in exhaust sealing technology. Constructed of separate layers of "Dead Soft" aluminum, REAL SEALS provide a do-it-once solution that will not burn or blow out. REAL-SEAL gaskets will work when an o-ringed gasket won't because the "Dead Soft" aluminum conforms to create a leak-proof seal. REAL-SEALS can also be easily trimmed for port-matching and you can use them over and over again.